They crushed it in 2015 and now Mississauga residents have a new goal: raising 200,000 pounds of food and $100,000 by October 14. The Mississauga Food Bank’s annual Thanksgiving campaign begins Monday, in tandem with the city-wide food drive challenge. Most needed items include applesauce, canned fruit, dried fruit, canned vegetables, brown rice, and other healthy grains. Not sure what to #donate? We're running very low on peanut butter & canned fish/meat – pls put those items at the top of your grocery list! Roughly 148,900 pounds of food and $82,917 was raised in the 2015 campaign, providing 207,293 meals; 15 per cent of Mississauga residents live in poverty. 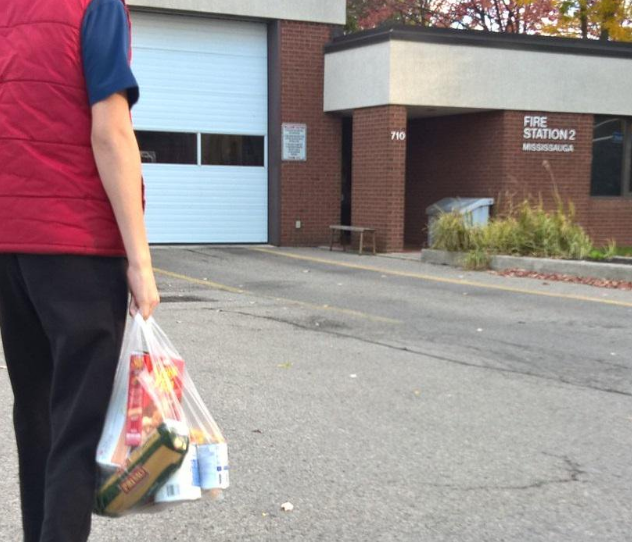 Filling a bag with nutritious, non-perishable food. Taking a photo or video as you deliver donations to a participating grocery store, fire station or the MFB at 3121 Universal Dr. Posting a photo or video on social media and challenging five people to do the same within 48 hours. A family Thanksgiving celebration is scheduled for Saturday, Oct. 8 at fire headquarters at 15 Fairview Rd. from 11 a.m. to 4 p.m. Residents can bring donations and take part in free activities.